Interior Features Updated Kitchen Cabinets and Granite Counter tops. Stainless Steel Appliances. Windows Galore! Large Master Suite features mirrored wardrobes, sloped ceilings, private patio overlooking greenbelt and trees. Woodlike Floors. Living Room features a Fireplace. Stack Washer/Dryer located inside the home in a Utility Closet. Exterior Features First Level Condo. Centrally located on the west portion of the tract. 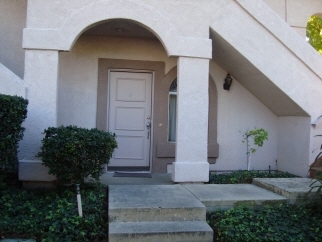 Close to the Jacuzzi and surrounded by greenbelt areas of shade trees. Additional Features and Amenities One Car Private Garage with Storage area and One Car Covered Carport - Exclusive Use! !